5PM: Doors open. Jammer orientation will begin at this time, so it is important to arrive as early as possible. 9PM onwards: 19+ fundraiser for Eastern Edge. The jam space will be adult-only during the fundraiser. 3PM-6PM: The Closing Showcase will be held in the gallery. During this time, Senior League teams will have an opportunity to upload their games to the Global Game Jam site. 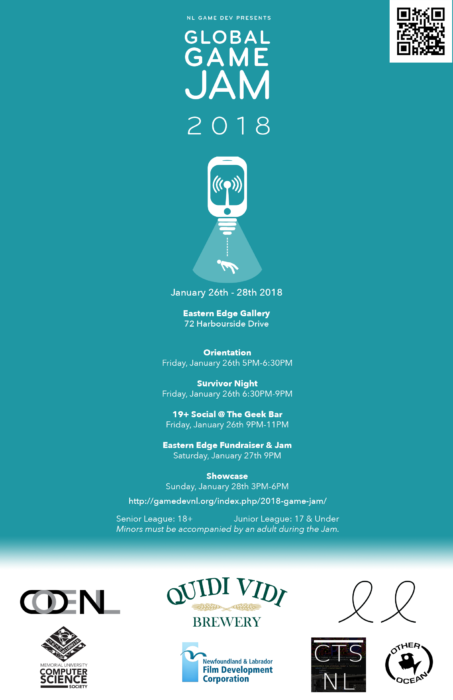 GameDev is seeking participants and artists to be a part of this Game Jam! No previous experience necessary. this event at Eastern Edge!